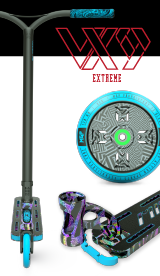 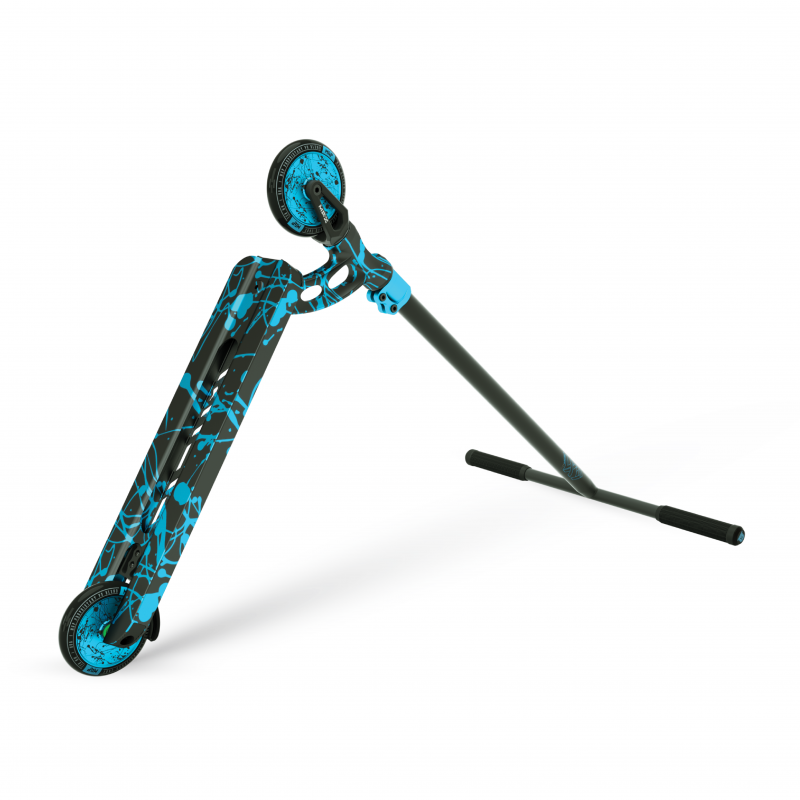 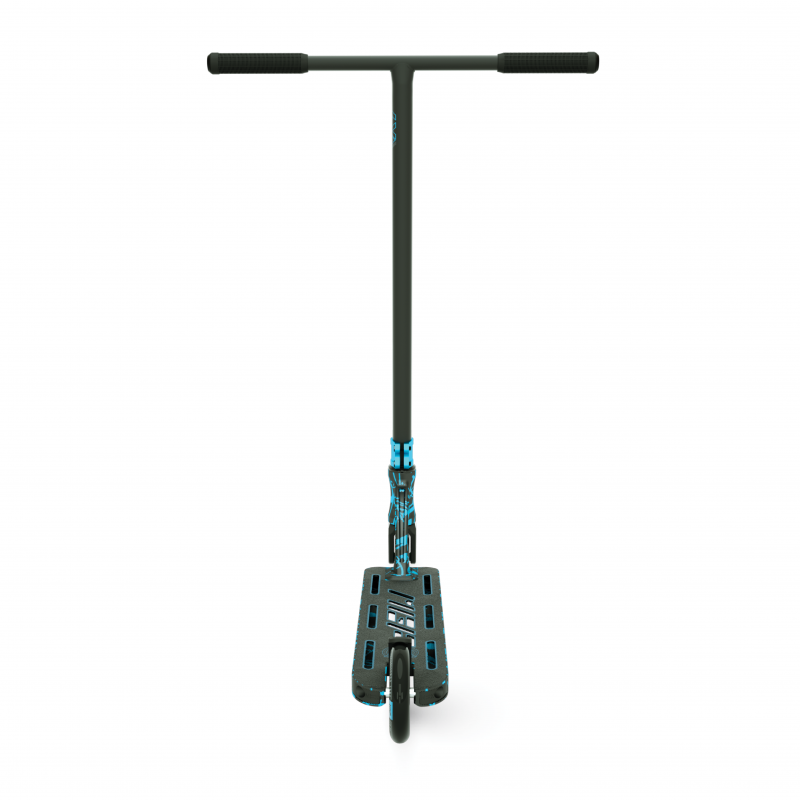 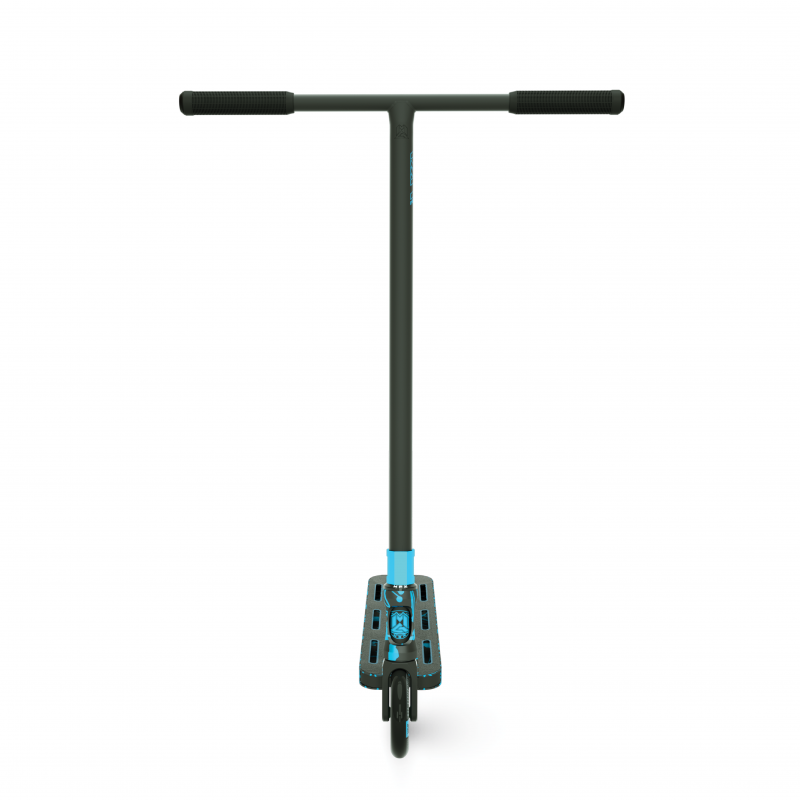 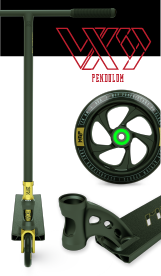 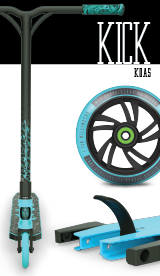 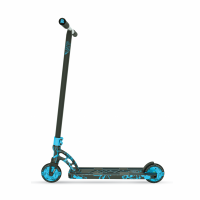 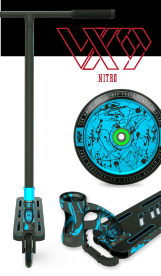 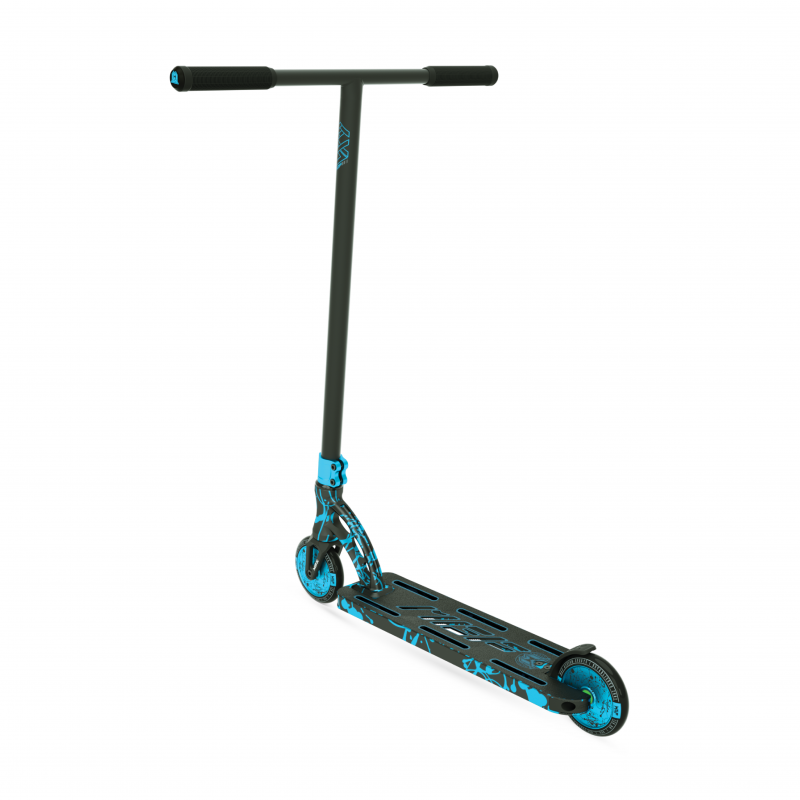 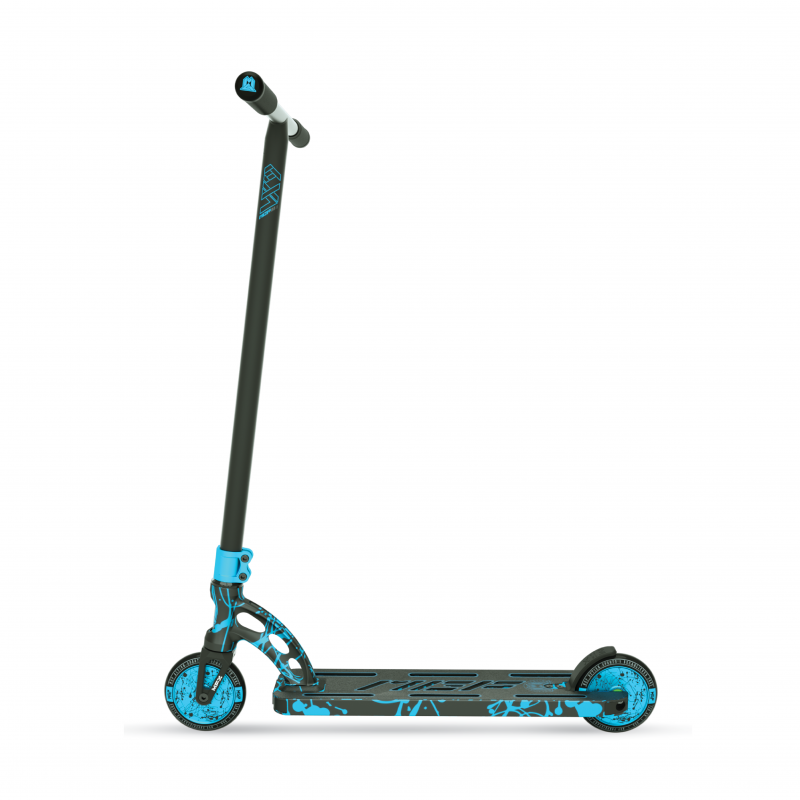 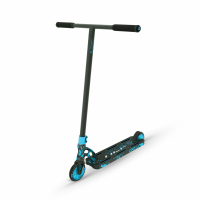 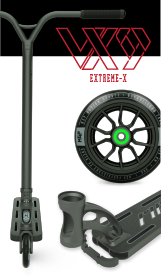 The VX9 Nitro Stunt Scooter strikes perfectly at that fine line between performance and durability in a package designed for riders 12 years and up. 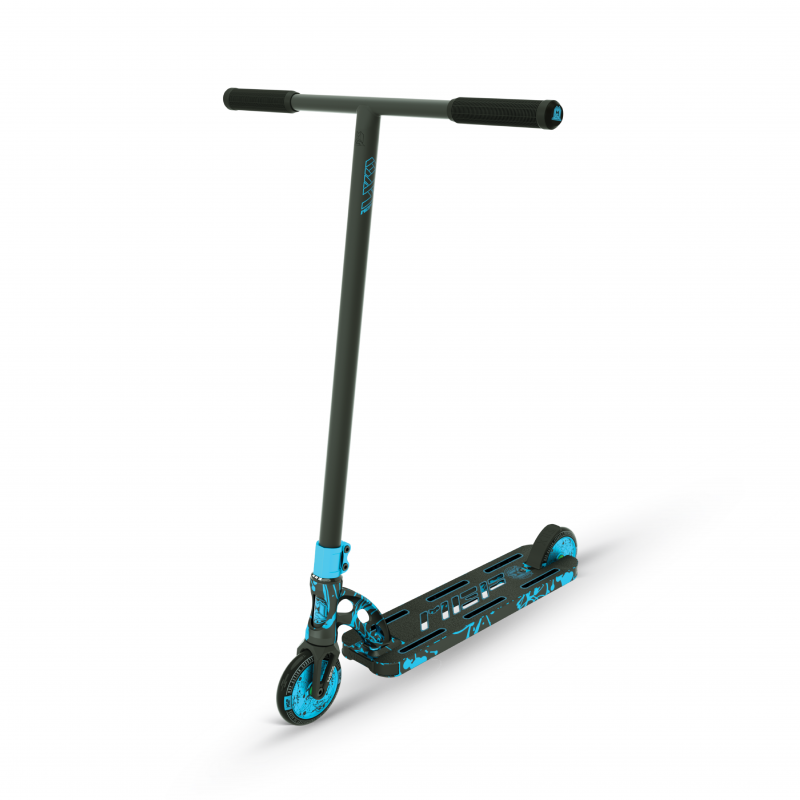 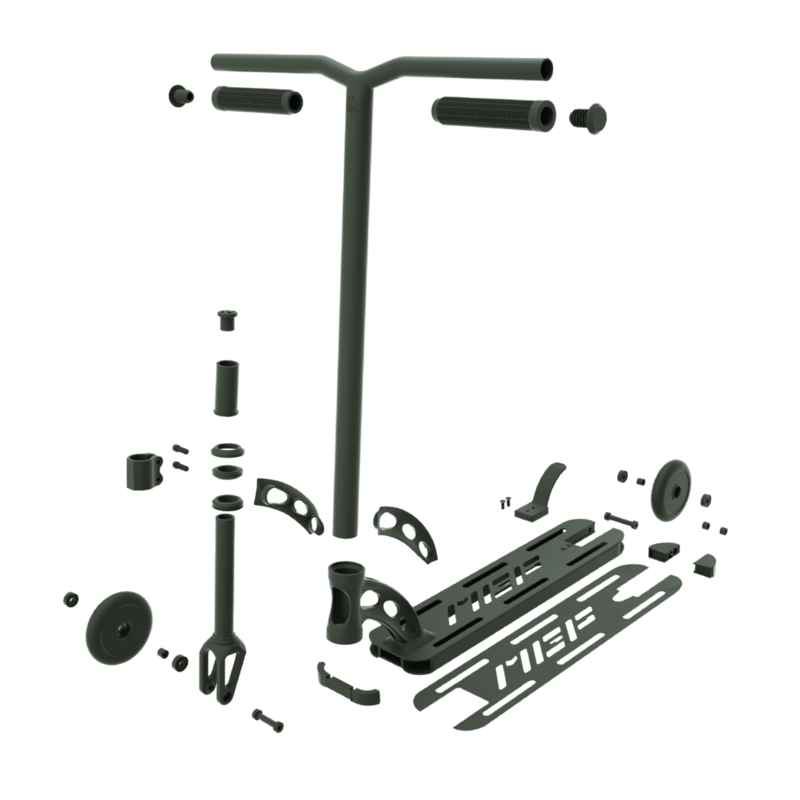 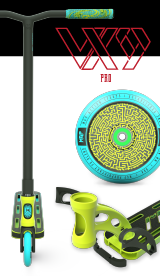 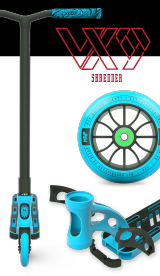 The VX9 Nitro Stunt Scooters components have been hand selected specifically to produce a well rounded complete that will inspire confidence at the park or even your local street spot. 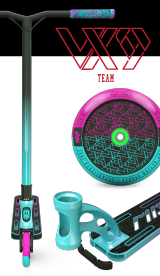 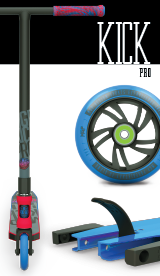 The new Light-AF MGP headtube and Gen-9 Convex Profile Fluted Extrusion combine to produce the lightest Nitro scooter ever produced. 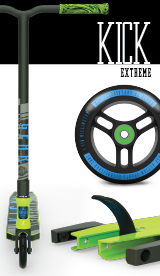 Complete weight is just 3.42 kg / 7.54 lbs for 4.5” Deck and 3.55 kg / 7.82 lbs for 4.8” Deck. 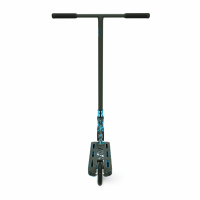 23” X 26” 4031 JAPANESE CHROMOLY T-BAR – STANDARD DIAM.